Mini design - Space-saving Design, our mini smart plug won’t block the whole outlet. Easily fit two Minis in one socket for twice the fun. Voice control - Works with Amazon Alexa and the Google Assistant, giving you hands-free to manage your devices through voice commands. Voice Control via Smart Life app is available. Energy monitoring - Comes with energy monitoring, allowing you to monitor real-time and historical power consumption for your connected electronics through the app. This helps you lower your bills. Control from erevywhere - Easily control your lights and appliances from the office, coffee shop or a random sidewalk. Set schedules/timers to get your home automation. Only needs Wi-Fi. No hub or subscription required. Easy to install, handle and can be activated immediately and stably. Works Seamlessly with Amazon Alexa and Google Assistant. 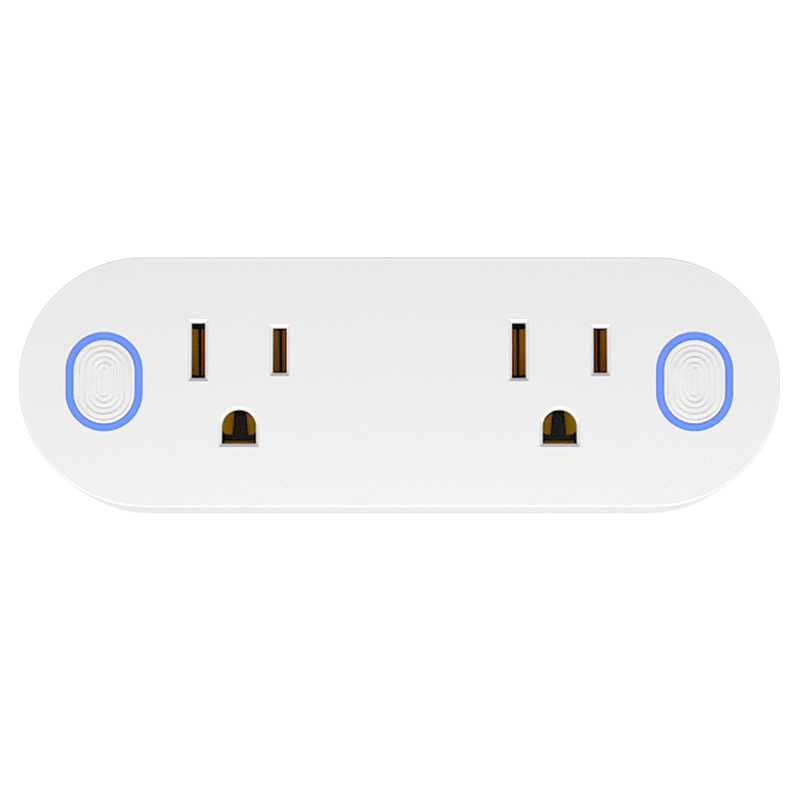 Smart Plug gives you the peace of mind that you’ll never leave devices burning again. Make your busy life easier and more comfortable and turn your home become smarter. 1. Mini design - Space-saving Design. 2. 16A, support for large appliances - washing machines, air conditioners, refrigerators and other high-power appliances. More widely used. 3. With measurement capabilities: real-time monitoring of power, power management and save electricity. 4. Voice Control: Support Alexa and Google Home.IFTTT.